Melissa brings with her a lifetime of athlete and coaching experience. She played Division I collegiate basketball at Siena College and continued on to play professionally overseas in Denmark. Since then, she has become a Certified Holistic Health Coach, a CrossFit Level 2 Trainer, a CrossFit KettleBell Coach, a NASM Performance Enhancement Specialist, a NASE Certified Speed Specialist, and a Spartan SGX Coach. She also has her Master’s degree in Exercise Science, with a concentration in Injury Prevention and Performance Enhancement. You may have seen her compete on NBC’s 2016 Spartan Ultimate Team Challenge, the world’s toughest obstacle course race. She arrived back home inspired, and now she teaches Spartan SGX classes at CrossFit Round Lake for all of you active lifestyle enthusiasts who like to run and play outdoors! Always up for the challenge, Coach Manzer loves setting goals to keep herself motivated. She is very passionate about the role she plays in changing people’s lives through diet and fitness. Mike joined the Round Lake team in 2016 after completing his CrossFit Level 1 Trainer certification. Between his five children and a long list of hobbies, Coach Pick is a busy and motivated man. He is an IRONMAN Triathlete, a Spartan Race runner, a certified CrossFit Pose Running Coach, a certified Spin Instructor, a CrossFit KettleBell Coach, as well as a CrossFit Masters athlete. He also holds an active CrossFit Scaling Course certificate. Mike served for 15 years in the U.S. Army as an Armor Officer. He was deployed to Iraq from 2004-2005, and in 2011, he spent 100 days in New York City at Ground Zero after the 9/11 attacks. 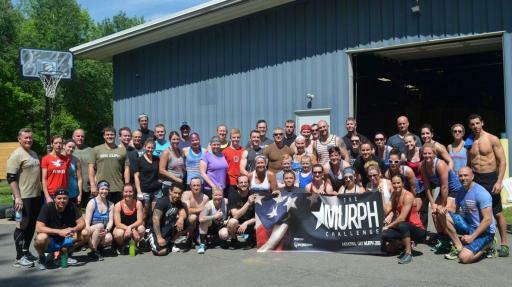 A proud Veteran, he is an avid supporter of the Memorial Day Murph event, which is held every year at CrossFit Round Lake. Coach Pick currently holds the Director of EH&S position at North American Industrial Services. Brendan has been involved in the CrossFit community since 2012. Since then, he has always been the lead-by-example type of athlete in and outside of the gym. He puts in the extra time to focus on core strength and balance, and in the kitchen, he’s not afraid to stir things up. He’s experimented with being vegan, gluten free, and The Zone Diet to find what works best for his body and performance goals. He joined the Round Lake team in 2017 after completing his CrossFit Level 1 Trainer certification. True to the CrossFit methodology, Coach Rabadi enjoys keeping his training varied. He likes to play sports, lift weights, and run Spartan Races. Teammate to Coach Manzer, they participated in the 1st season of NBC’s Spartan Ultimate Team Challenge that aired in the summer of 2016! Brendan runs a digital marketing agency with his girlfriend and fellow CrossFit Round Lake member, Amy Marshall. He is also an active Realtor in the Capital District and he loves to spend time with his Italian Mastiff, Ronnie. Abi has blazed a lifestyle transformation trail since the day she stepped foot through our doors. She was new to CrossFit and all it had to offer, but had no idea how much it would change her life. Fifty pounds later and an entirely new outlook on what is possible, Coach Jackson has been an inspiration to us all. A former 3-sport athlete who attended Williams College, Coach Jackson has held a coaching position for the past fifteen years. She has led several athletes to the All-American honor and has received Coach of the Year in two different sports. She is currently the Head Coach of the Union Women’s Lacrosse team. 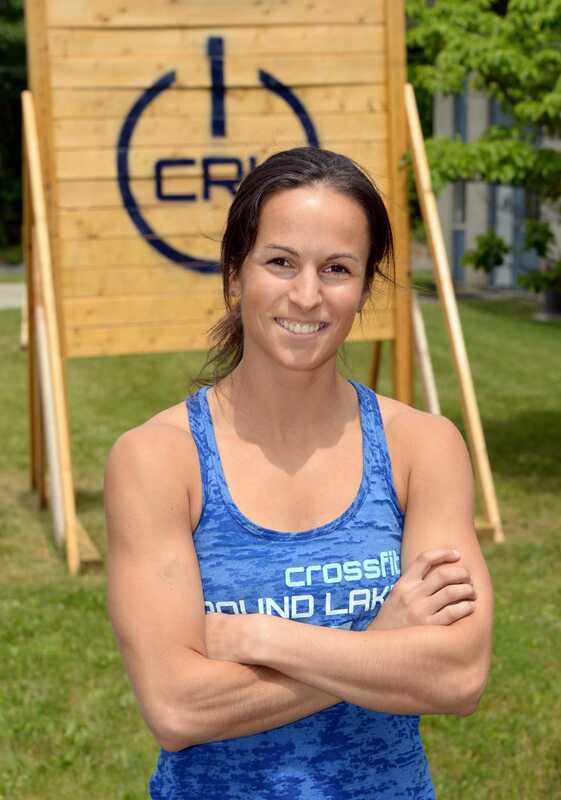 Coach Jackson holds her CrossFit Level 1 Trainer certification, as well as the CrossFit Scaling Course certificate. She is admirably self-driven and believes that nothing is given, rather, everything is earned. This is why she can call herself a successful weightlifter, CrossFitter, triathlete, and IRONMAN. To decide which membership is the right one for you, just click on the (+) sign next to each option to expand the details. The Launch Program is a separately scheduled course that enables our coaches to introduce beginners to the functional movements of CrossFit. In a small, personal group setting, we will teach you everything you’ll need to know in order to join our regularly scheduled classes. This membership is for new members only and does not auto renew. Sign up for our next Launch Program Course directly from the “Launch Program” page. The Elite membership gives the member access to unlimited CrossFit classes and Open Gym times, as well as our specialty classes; Olympic Weightlifting, Spartan SGX, and Mobility class. This membership auto renews on a monthly basis and is billed on the 1st of the month. Buy now. The CrossFit membership gives the member access to unlimited CrossFit classes and Open Gym times. Olympic Weightlifting, Spartan SGX, and Mobility class add-ons can be purchased on a per class basis. This membership auto renews monthly and is billed on the 1st of the month. Buy now. The Spartan SGX membership gives the member access to 10 Spartan SGX classes at a time. It acts like a punch card and it can be repurchased an unlimited number of times. All classes must be used within 3 months from date of purchase. This membership does not auto renew. Buy now. This membership acts like a punch card, but auto renews for convenience. Good for CrossFit and Open Gym, you’ll get nine classes per month, used however you see fit. Olympic Weightlifting, Spartan SGX, and Mobility class add-ons can be purchased on a per class basis. Any classes not used one month do not carry over to the following month. Members will begin each month with nine classes to use. This membership auto renews on a monthly basis and is billed on the 1st of the month. Buy now. For those of you who follow a competitors’ program and just need the space to train comfortably and on your own crazy schedule, this one’s for you! The Open Gym membership gives members access to all open gym times. CrossFit, Olympic Weightlifting, Spartan SGX, and Mobility class add-ons can be purchased on a per class basis. This membership auto renews monthly and is billed on the 1st of the month. Buy now. Whether you’re dropping-in from out of town or purchasing a class add-on, a single class purchase can be made at any time via cash or credit card. This single purchase does not auto renew. Drop-ins should register for class in advance. Buy now. CrossFit Coaches – Free Drop-Ins! That’s right. For all of you coaches who dedicate your time to improving the health and fitness of others, this perk is for you. CFL1 or higher. No proof necessary; we’ll take your word for it. Former pro basketball player finds new purpose running CrossFit affiliate. When it comes to your health, it’s not so much the what? or the where? that’s important, it’s the who that really matters. Who are you going to trust with your well-being? Here at CRL, we aim to take something that’s fun and use it to improve people’s health and fitness. What we have found, however, is that people come in expecting ordinary results and end up leaving with extraordinary success. The secret behind it all is actually quite simple: Our members and coaches thrive off one another. Just as the systems of our bodies work together, the same interdependency breathes life into our community. Beyond our coaches is a community of people who are motivated for similar reasons. This group fosters an atmosphere of devotion to one another and commitment to personal goals that supports everyone through continued success. We are dedicated to providing our members the safest and most effective training program, supported by empirically-driven methodology and continual professional development.